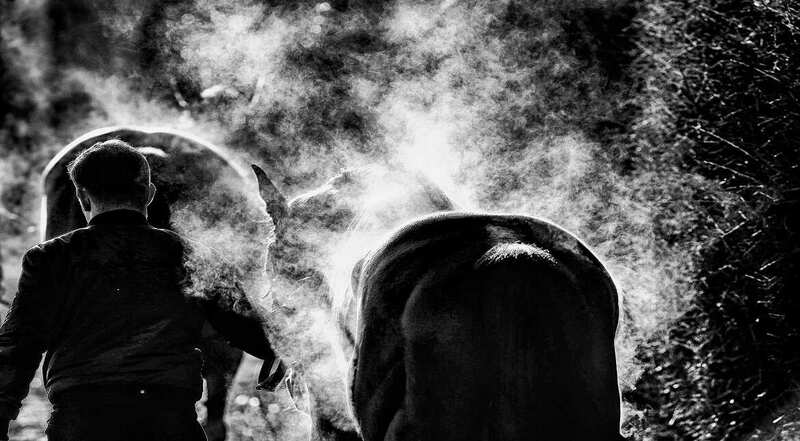 Most interesting photo stories of the day. 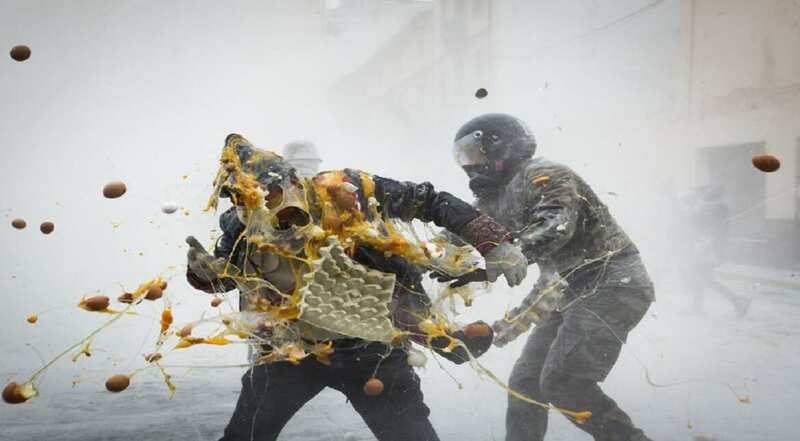 Revellers dressed in mock military garb take part in the "Enfarinats" battle in the southeastern Spanish town of Ibi During this 200-year-old traditional festival participants known as Els Enfarinats (those covered in flour) dress in military clothes and stage a mock coup d'etat as they battle using flour, eggs and firecrackers outside the city town hall as part of the celebrations of the Day of the Innocents. Daniel-Andre Tande of Norway takes first place during the FIS Nordic World Cup Four Hills Tournament in Garmisch-Partenkirchen, Germany. 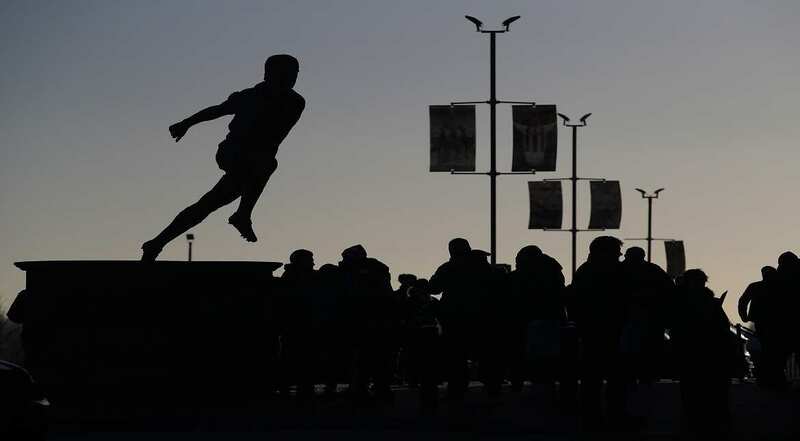 A silhouette of the Tony Brown statue outside the stadium prior to the Premier League match between West Bromwich Albion and Hull City at The Hawthorns in West Bromwich, England. 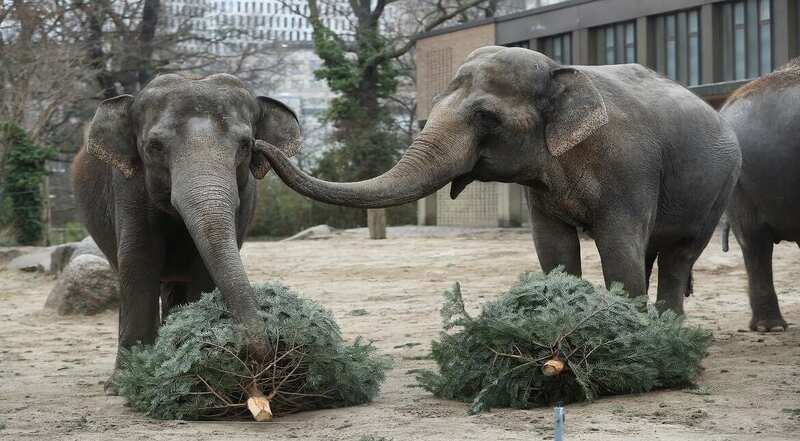 An elephant touches the face of another with its trunk before feasting on discarded Christmas trees at the Zoo Berlin zoo in Berlin, Germany. 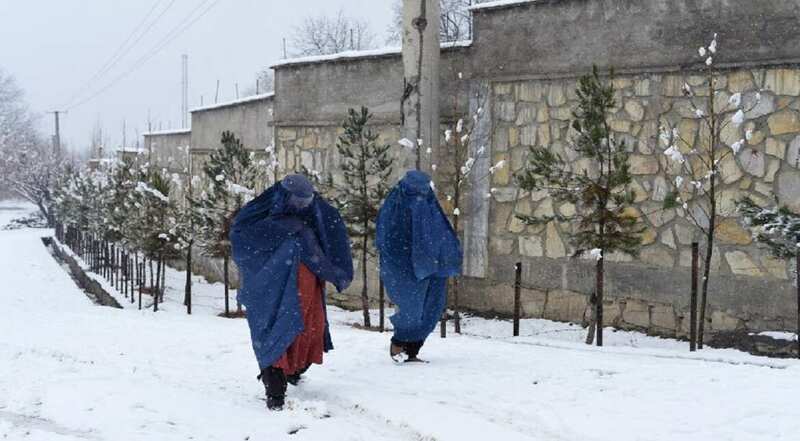 Afghan women walk through a snowfall in Paghman district some 21kms west of Kabul. 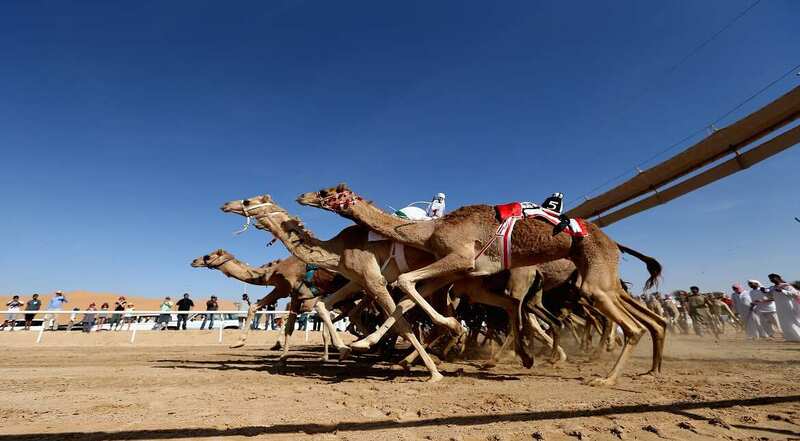 A general view of the action as camels race during the Liwa Sports Festival at Moreeb Dune in Abu Dhabi, United Arab Emirates.